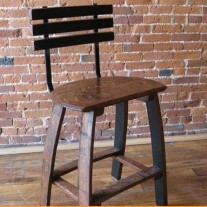 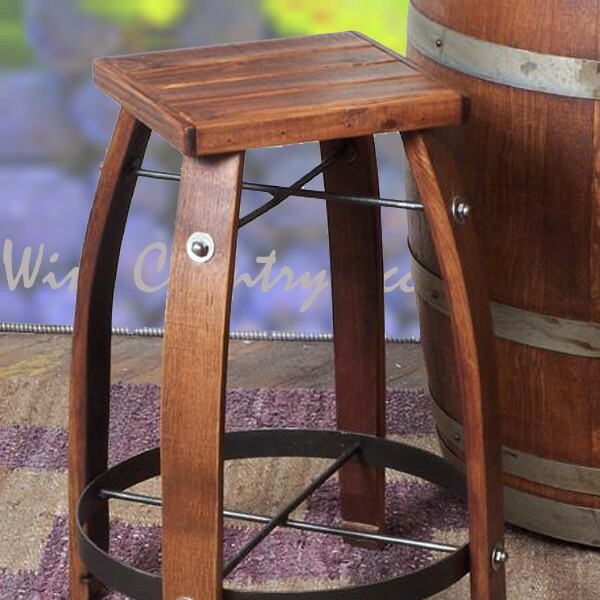 These Vintage Oak Wine Barrel Bar Stools with wood seats will stand the test of time. 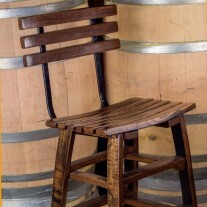 Recycled Wine Barrel staves from actual oak wine barrel casks form the legs, reinforced with hand-forged wrought iron braces. 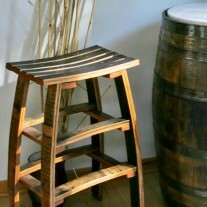 A barrel hoop foot rail adds to the realism. 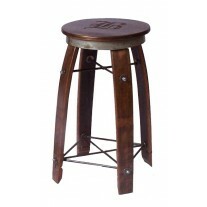 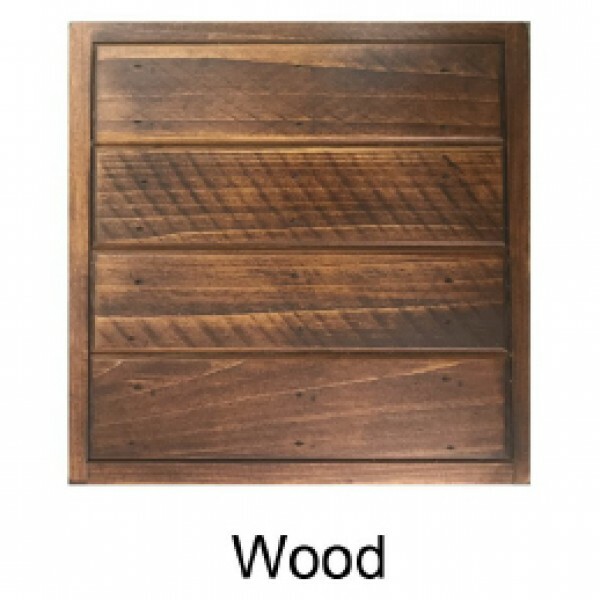 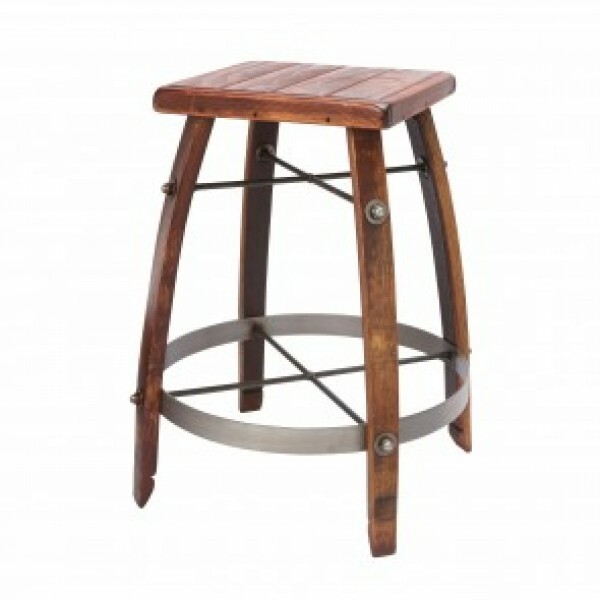 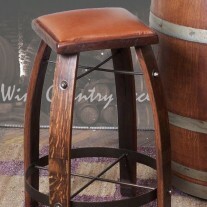 This Wine Barrel Stool has the rustic wood seat which adds to the wine country appeal and natural beauty.